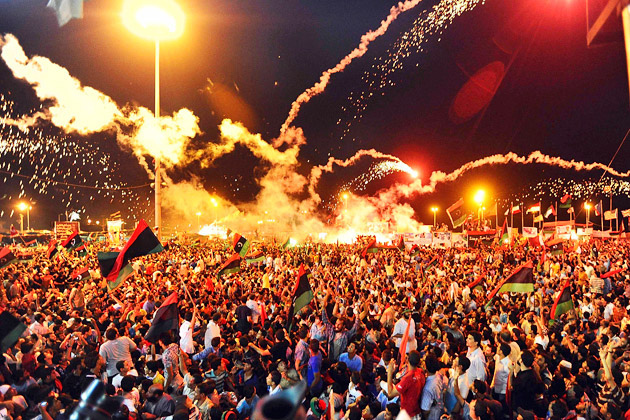 What has come in the West to be called the ‘Arab spring’ was one of the largest outpourings of anger at corruption and injustice in the Arab world in many decades. It saw dictators forced from their palaces, and the people of many nations embrace their ability to make this change. It saw the resurgence of strikes and protests in countries that had not seen such things in years, or even decades, and inspired similar actions in other countries all over the globe from Europe to the Americas and everywhere in between. 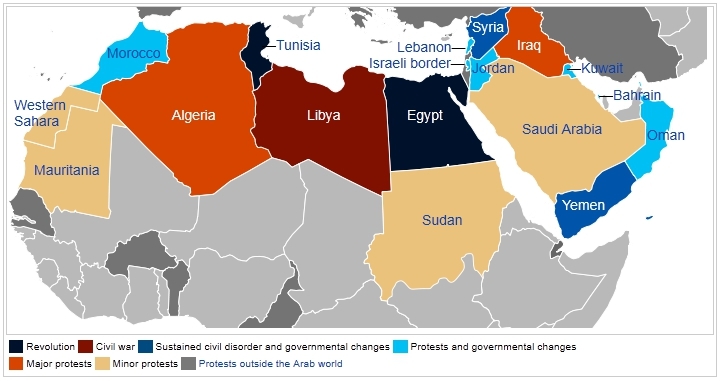 Indeed, to date, rulers have been forced from power in Tunisia, Egypt,Libya,and Yemen; civil uprisings have erupted in Bahrain and Syria; major protests have broken out in Algeria,Iraq, Jordan, Kuwait, Morocco, and Sudan; and minor protests have occurred in Lebanon, Mauritania, Oman, Saudi Arabia, Djibouti, and Western Sahara. And that’s just quoting Wikipedia. If you broaden the definition to include other major protest movements that broke at the same time, then that list gets truly out of control: The “occupy the square” movements of Spain and Portugal (the protestors called themselves “los Indignados”) involved 6-8 million Spaniards, and they were proudly inspired by the Arab Spring. These then spread to become the “Occupy” movement in hundreds of cities in 82 countries. The US also saw its first factory occupation by workers in nearly a century at the Republic Windows and Doors factory, eventually getting words of support from the president himself. The Quebec student protests against the rising cost of education drew in 400,000 people at its peak, the largest single demonstrations in Canadian history. The Mexico City student protests drew hundreds of thousands of workers and students onto the streets protesting media bias during an election. Huge protests in London involving students and poor workers against austerity measures numbered up to half a million. Greek protests against austerity also pulled between 300 and 500,000, and these were replicated throughout the EU, especially Ireland and Portugal – the Portugeuse prime minister stepped down in the face of protest movements there. Militant Spanish and South African miners engaging in genuine street battles with police, and even the strike last month in India which involved 100 million workers (the largest strike in world history) would likely not have been possible without the inspiration provided by the people of the Middle East and North Africa. And yet, despite all this, if you have the misfortune of following only the larger mainstream media sources internationally, you can’t help but see editorials and pundits daily proclaiming that the Arab Spring is “over”, that it did some good but now it is settling down to business as usual. While there is no doubt that a great deal of good was achieved, I want to make the case that the Arab Spring is neither over, nor are we likely to see a return to business as usual in the immediate future. I’ll mostly limit myself to addressing the Arab world, especially Egypt for reasons I’ll elaborate below, but it’s worth noting that in our modern, globalised world with myriad forms of instant communication, nothing can be limited to a single neighbourhood, or city, or country, or even region any more. We take inspiration from the Arab Revolutions because they have lessons for us all, regardless of who we are or where we live. In mid December 2010, Mohamed Bouazizi, A Tunisiain small produce street vendor from a small town in rural Tunisia covered himself in petrol and set himself alight in front of the governors office after being harassed by police, who confiscated what little good he had to sell that day. While standing in the middle of traffic, he shouted, “How do you expect me to make a living?” and struck a match. the union activists on the ground were not awaiting orders from above. No one met in union halls to decide whether to support the revolution or not. The solidarity of unionists with the revolution was spontaneous. Less than one month after Bouazizi’s suicide attempt, Ben Ali fled the country faced with the anger of thousands of Tunisians protesting in the streets of Tunis. The events in Tunisia were big, and they were important, but they were by no means earth shattering. Dictators come and go, but Tunisia is a small country with little international pull. If it had ended with Tunisia, not only would we not be talking about it today, but we probably wouldn’t even have heard about it. Egypt, however, is another matter entirely. For most of the last 4 decades, Egypt has been the site of a grand social and economic experiment in free market “neo-liberal” economics. It has a population of approximately 83 million – one of the largest in the region. It is heavily industrialised, with nearly 100% of the population living in or around either Cairo, Alexandria, or the agricultural land around the Nile and the Nile Delta, meaning that its worker population is many time higher than surrounding nations. It has, in recent history at least, been a staunch ally of the US and Israel, both politically and economically. It produces oil, coal and natural gas, and has a GDP of about half a trillion dollars. It is a vital trade partner to most of North Africa and the Middle East, and its role as representative of supposedly “Western” interests in the region cannot be understated. Contrary to the romanticised view of pyramids and camels, it is in nearly every respect a “modern” country, with all the concentration of wealth, industry and inequality that that entails. In other words, it’s a major player. It is worth mentioning that despite this massive industrialisation and urbanisation, Egypt is a prime example of what Marxist theorists call “uneven and combined development” – the simultaneous existence of advanced capitalism in the form of factories and a developed working class, right alongside feudalist forms of production e.g. peasant based farming. However, only one of these groups – workers and peasants – is able to lead Egypt to a brighter future. The struggle in Egypt was different from what had gone down in Tunisia not just quantitatively, but qualitatively too. What happened in Tunisia directly affected almost no one outside Tunisia. What happened in Cairo sent shockwaves around the globe. 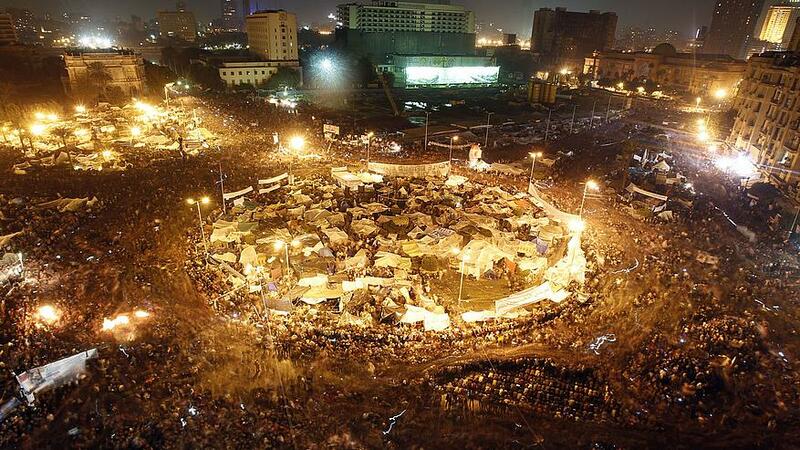 Tahrir Square is the most famous image of the Egyptian revolution, and rightly so. The veritable village created in Tahrir square has many lessons for us, as revolutionaries. The initial occupation on January 25th, 2011, was a mere 50,000 protesters. Within days this had grown to 250,000, and eventually larger still – reports ranging anywhere from 300,000 all the way up to a million. The protesters once again demanded that the president, in Egypt’s case the 30 year dictator Hosni Mubarak, step down. Once again, it was scarcely two weeks between the start of the occupation and Mubarak’s resignation, as well as that of the Prime minister and many of the MPs. Two weeks doesn’t sound like long for a protest movement to bring down a government, but the protests weren’t enough to bring down Mubarak on their own. The clincher was the workers’ movement. It was mere days after workers in the textile industry, the ports, the oil fields and the Canal – the biggest and most important industries in Egypt – went on strike that Mubarak was forced to step down by representatives of the armed forces. The self activity of the working class, in solidarity with the protesters, was what brought the regime to its knees. However, after Mubarak’s fall, political power did not fall to the people – it was handed over to the Supreme Council of the Armed Forces e.g. the military brass. In Egypt, top military officials also hold significant economic power, controlling anywhere from 15-40% of Egypt’s economy – huge tract of land, factories, shops, petrol stations. Needless to say, handing power from one group of plutocrats to another was not the objective of the protesters, and so the protests continued. As the protests continued, several things became apparent: 1) that the protesters were going to be there for a while. 2) That they were going to need to organise politically, as well as functionally if they wanted to create the world their slogans described. The first point was critical for the day to day functioning of the protests – a quarter million people living in a square takes a lot of organising! So the protesters set about building their own city in a city. Medical centres, food and water collection and distribution, rubbish collection, media and communications centres, sanitation, religious spaces, sleeping spaces and defence. All of these had to be organised and coordinated by groups of ordinary citizens, many of whom lived, slept and ate in the square for weeks. Historically, we’ve seen this before – In the Paris commune of 1871, in Catalonia during the Spanish civil war, in Petrograd and Moscow during the Russian revolution. In all of these instances, workers had to build their own structures to replace those of the state they opposed. The second point was trickier. It’s one thing to oppose the existing system; it’s another to propose a new one. The unfortunate reality is that the socialist and other left groups in Egypt are small and unable to effectively coordinate struggle against the regime and again the institutions that support it. The protests have been unable to move forward, but they also refuse to be taken back either. So, the protests continued and the SCAF tried to affirm their position as the new rulers of Egypt. The protests ramped up, despite increased repression. A number of government buildings, particularly those associated with the hated security forces of Mubarak, “mysteriously” caught fire. After a brief clearing of Tahrir square following the fall of Mubarak, the people returned en masse, angered at the slow pace of progress and reform. Months went by and the army repeatedly tried to send in troops to break up the protests, but the protesters continued to return time after time. It’s during this period that we saw one of the most iconic images of the revolution – Coptic Christians and Muslims taking turns standing guard as the others prayed, as a brilliant example of non-sectarian solidarity. Attempts at the time to portray this as a solely Islamist uprising were firmly proven false by these inspiring images. As the occupation grew, the SCAF tried to dispatch the army again and again, but they had a problem – the soldiers began to defect. The Egyptian army is a conscript army, so – as with most modern armies – most of the “grunts” are from the poorer sections of society. They identified with the protesters, and when it became clear that the protesters would continue fighting, entire regiments turned. Soon large portions of the army were standing guard around the square, calling for the same demands as the protesters, including free elections. The SCAF recognised they were backed into a corner by their own troops, agreed to hurry elections. The elections in December of 2011 saw the Muslim Brotherhood come to power. The Muslim Brotherhood were one of the largest organised forces involved in the protests, but there is a significant contradiction between the membership, which identified with the protesters and their goals, and the leadership, which came to power, composed of bankers and businessmen who felt threatened by the strength of the movement. Since coming to power, they – led by President Morsi – have revealed themselves to be conservative and reactionary leaders – they have maintained, and even strengthened ties with Israel and the US, and gone to great lengths to extend relations with other conservative regimes and governments. They have maintained the strength of the military; have entered into a deal with the IMF; done nothing to lift the blockade at the border with Gaza, and have even gone so far as to bomb supply tunnels; issued a decree declaring themselves above judicial oversight; have failed to commit resources to vital failing infrastructure such as the train and ferry systems which have resulted in the deaths of countless Egyptians; are planning to sell off state assets; and significantly they have preserved the aforementioned and deeply hated security apparatus, which has been turned against protesters time and again, continuing to kidnap, torture and even kill activists and demonstrators with impunity. Most critically, they have been completely unable to deliver the big three demands of the revolution: Bread, Freedom and Social Justice. This is a stunning echo of the demands of the Russian Revolution – Peace, bread and land. While once popular – and it is worth reminding that the Muslim Brotherhood did have wide popular support, especially given that the alternative political party represented the remnants of Mubarak’s order, and are not “Islamo-fascists” as so many in the media like to report – the above points have seen the revived protest movement target the new government for replacement as virulently as the Mubarak regime was opposed. As such, the past year has seen the continuation and radicalisation of the revolutionary spirit. We can see this in the reports of nearly 4,000 social protests ranging from rallies to strikes to workplace and institutional occupations and locking up managers. “Egypt’s working class movement remains remarkably vigorous. 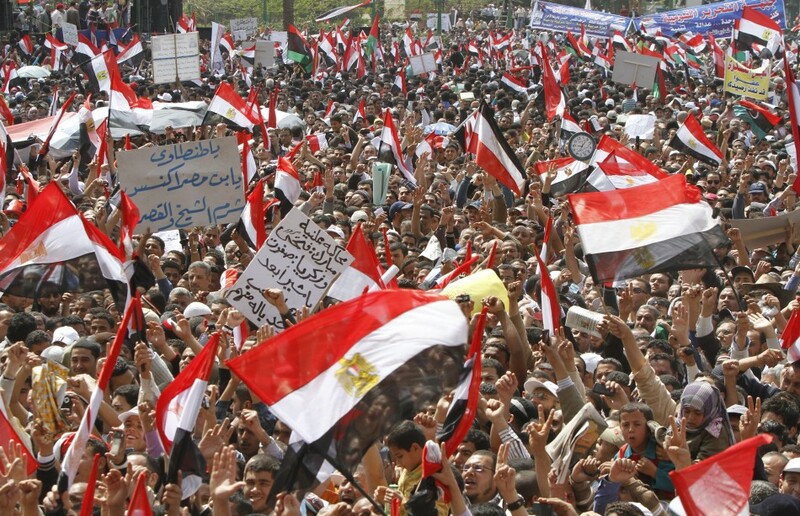 The events of January and February 2011 stimulated a huge burst of energy across Egyptian society. Strikes had played a key role in removing Mubarak and, full of confidence, workers promptly undertook the widest and most sustained industrial action since the 1940s. Many strikes seemed to be successful, with concessions from private-sector and state employers on wages, bonuses, pensions, job security and a host of local issues. Some pursued broader aims: purging of local politicians and of officials responsible for key sectors of industry or commerce, of police and security officials, and of key figures in the state-controlled unions. A new Egyptian Federation of Independent Trade Unions (EFITU) was formed on 30 January 2011, with potential to develop a nationwide alternative to the official union apparatus, which for over 50 years had stifled workers’ struggles and played a key role in the incorporation of the old left into the state. Even the New York Times identified the movement as “a growing challenge for the military and the caretaker government”. By October 2012 EFITU claimed some 2.5 million members. Many disputes have involved large numbers of workers in their first experiences of collective action. There has been a series of national strikes, including highly visible actions affecting the public sector. In 2011 teachers closed most of the country’s schools in the first such dispute since 1951; a year later doctors organised the first nationwide strike across the health sector. Periods of relative calm have been followed by waves of disputes. In August and September 2012, following a period of passivity during Ramadan, there was a surge in industrial action with some 1,500 strikes across the country, more than at any time since the fall of Mubarak. Many strikes have unified workers across sites: Cairo’s bus drivers called action in most of the city’s depots and for the first time in decades imposed highly effective picket lines. But struggles have remained uneven. Some disputes have brought tangible gains, reinforcing confidence; others have produced only promises. Many early disputes which followed the fall of Mubarak were apparently resolved by employer concessions but these agreements were not honoured or not implemented in full. And while there have been cases of solidarity and imitation, with workers learning from actions in neighbouring plants, schools or hospitals, many disputes have taken place in isolation. There is no sign so far of local workplace democracy producing liaison across sites—of representative workers’ committees or councils of action. Notwithstanding the tumultuous events since January 2011 no proto-soviet formations have emerged in which wider political agendas are developed. Nor has the movement produced a workers’ party of the sort which grew rapidly in Brazil in the 1980s. An attempt to build a Workers’ Party (formed early in 2011 and later known as the Democratic Workers’ Party) proved unsuccessful. The movement is extraordinarily energetic but lacks coordination and a political project that can advance workers’ collective interests. It has not been able to deliver the promise of further radical change contained in the mass strikes against Mubarak of February 2011. The movement bears similarities to those which have emerged in other political upheavals over the past 50 years—in Chile in 1973, Portugal in 1974-5, Iran in 1979 or Poland in 1980-1. It is inhibited, however, by the absence of a shared political agenda among leading activists. It is not merely that the workers lack a party—a scenario common to many revolutionary upheavals—but that even networks of solidarity are undeveloped. This is associated in part with problems of resistance by the old order, particularly the state sponsored Egyptian Trade Union Federation (ETUF) that controlled workplace organisation for the last 50 years. Recent events in the canal town of Port Said has really got President Morsi’s government concerned. 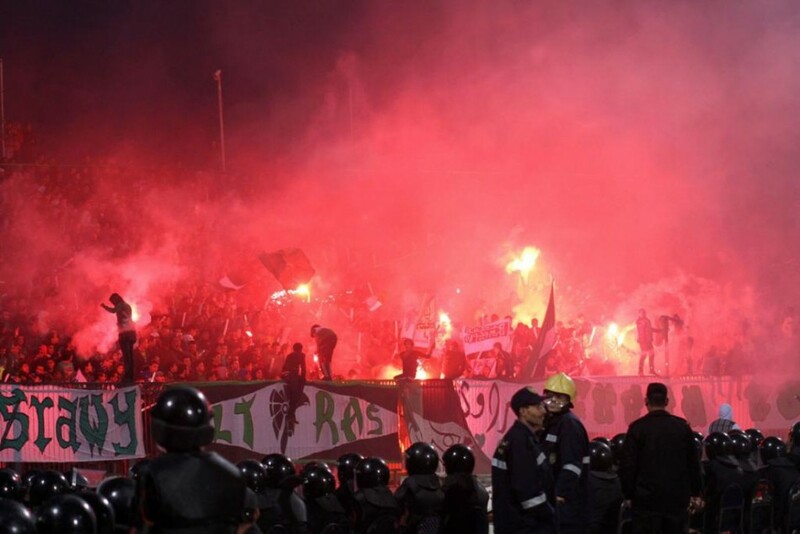 After security forces (mostly police) gunned down some 70 soccer fans last year, caught very clearly on video, the courts sentenced 21 fans from the opposing teams to death for this crime instead. This obvious miscarriage of justice drove the people of Port Said to the street, which the police met with extreme violence, gunning down a further 40. The response from the people was immediate, driving the police from the city, taking over the town completely. Joining the teachers and students who had spearheaded the strikes and protests came the civil servants and port workers, bringing the city to a standstill. The Suez Canal, mostly staffed from people living in these towns along its banks, is a vital trade route and critical source of income for Egypt, as well a being vitally important for international shipping. This protest closed the canal – an almost unprecedented blow to the Egyptian state. Solidarity protests and strikes occurred in other towns along the Canal and in the industrialised Nile Delta, as well as in Cairo and Alexandria. The army eventually moved in and returned “order”, but for almost a week the town was entirely in the hands of the people. The vast majority of the working people were out on strike, independently coordinating production of basic goods, food distribution, schooling and all manner of other essential services. Any serious look at the last few hundred years of history reveals two major historical trends: the recurrent failure of capitalism to provide a decent standard of living for the vast majority, and the spontaneous eruption of resistance to the inequality and injustice that this entails. 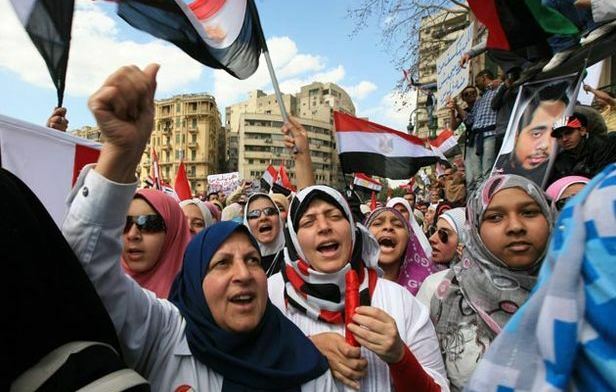 The first is clearly demonstrated by the continued demands of the Egyptian protesters – Bread, Freedom and Social Justice – and the failure of the Morsi Government to deliver these basic demands. The second has been made self evident by the entirety of the Arab Spring. The workers’ movement in Egypt is capable for tearing away the structures that oppressed them under Mubarak, and continue to do so under Morsi. It has demonstrated its strength and its commitment to building a better world. What it needs is to build the political consciousness to take power for itself, rather than entrusting political power to differing groups of plutocrats. This is not news to the protesters, and many attempts have been made, and continue to be made by different groups. In the words of Egyptian socialist Hossam El-Hamalawy “We have to take Tahrir to the factories now. As the revolution proceeds, an inevitable class polarisation will take place. We have to be vigilant. We hold the keys to the liberation of the entire region, not just Egypt. Onwards we must go, with a permanent revolution that will empower the people of this country with direct democracy from below.” This is the most likely path the protests will take, based on the activity we have seen so far. In Aotearoa/New Zealand, we do not have hundreds of thousands of people protesting in the streets, demanding a better world but we can still take inspiration the struggle of the Egyptian people. Struggle can appear apparently from nowhere, and we cannot force it. What we can do is prepare for when these struggles do erupt. To build the consciousness of working people, and the organisations that will help them win. Just as Socialists in Egypt struggle to galvanise the working class struggle into a force that can take power for itself, we seek to build an organisation that can lead the eventual struggle to freedom, equality and peace. Kevin Hodder gave this talk to the Wellington branch of the International Socialists in March.